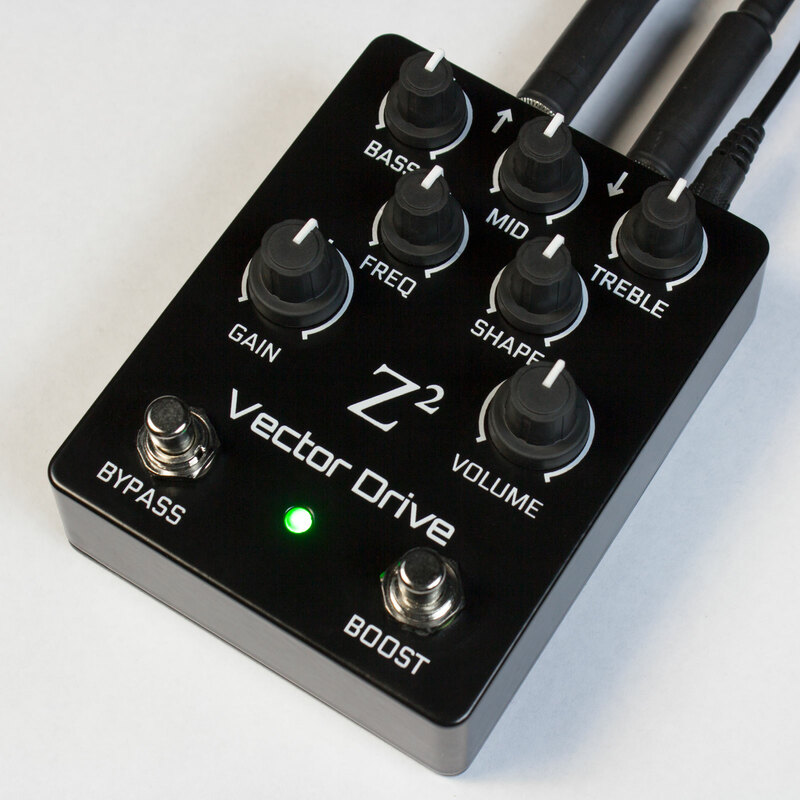 The Vector Drive guitar pedal is like nothing you’ve seen before. A customisable digital gain stage seamlessly blending distortion, overdrive, and fuzz tones. Unleash your inspiration — create any tone you need. With unique-in-class adjustable pre-distortion filters, noise gate, wet/dry mix, and our custom fuzz shape adjustment, the Vector Drive is a feature rich addition to your pedal collection. Check out the product page for more information about features. 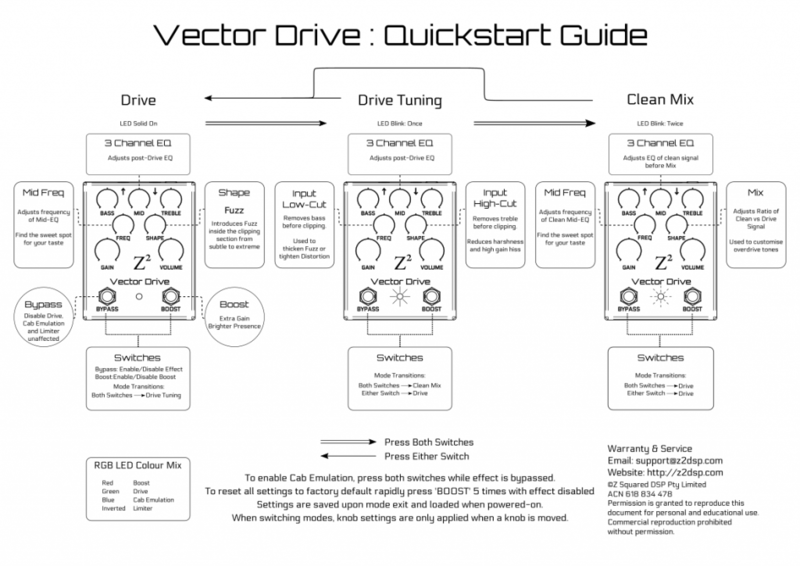 Quickstart Guide PDF: How to get the most out of your Vector Drive with the advanced tuning parameters. 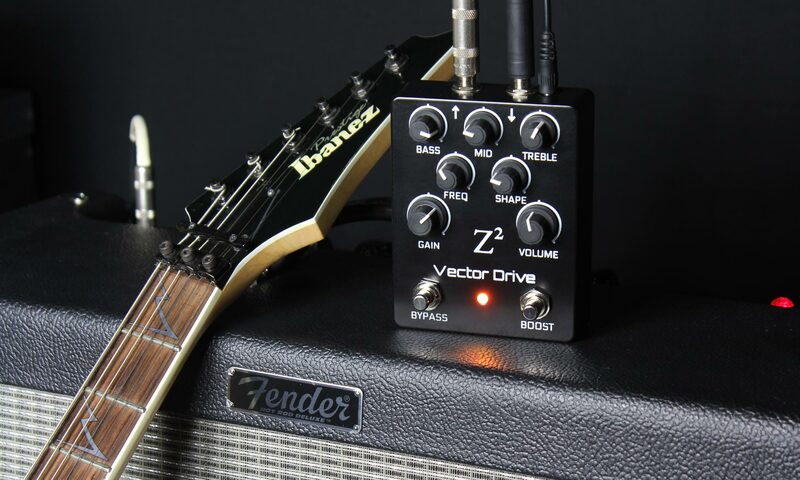 The Vector Drive requires 9V, 200mA, from a centre negative 2.1mm DC barrel connector (a very common guitar pedal standard).